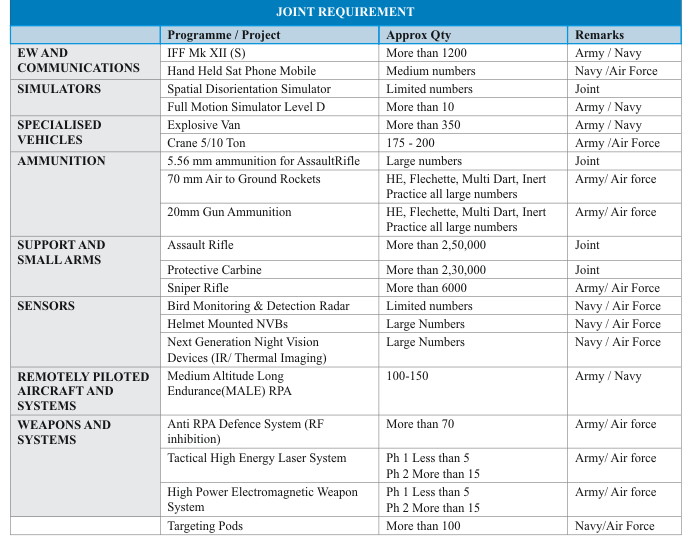 The first edition of the Technology Perspective & Capability Roadmap (TPCR) was published in Apr 2013. Numerous inputs have since been received from the industry and business organizations for making the document more informative for potential manufacturers. 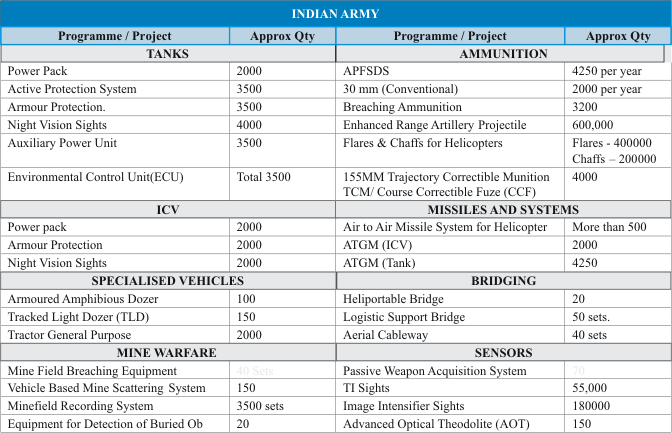 TPCR- 2018 released by MoD in Feb 2018 provides to the industry an overview of equipment that is envisaged to be inducted into the Indian Armed Forces upto the late 2020s. Revised TPCR provide details of quantity, life cycle, broad parameters and preferred technologies have been included to the extent possible. This document intends to drive the technology development process that the industry may like to pursue. 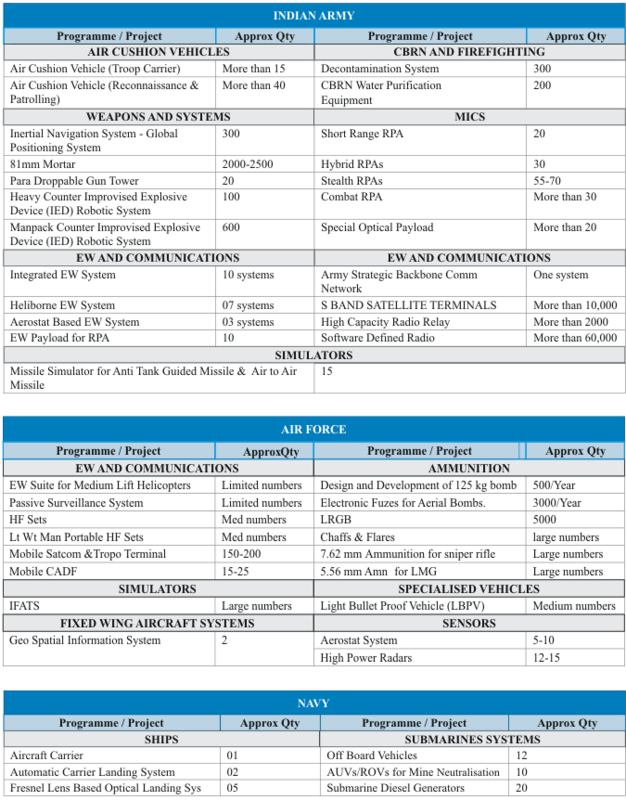 This roadmap may guide the industry in planning or initiating technology development, partnerships and production arrangements. 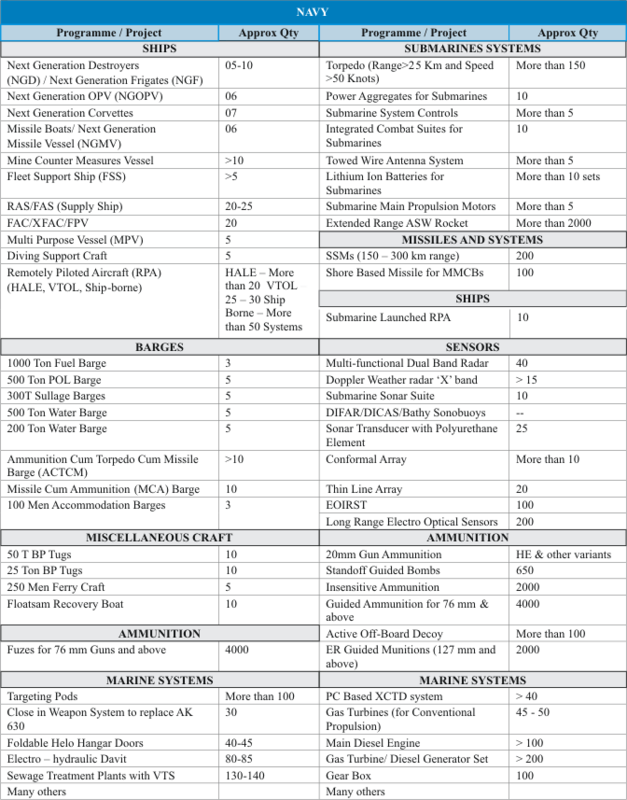 Relevant extract from the document for major platforms or subsystems is reproduced below for quick reference. The Ministry of Defence (Acquisition Wing) or Service HQs may be consulted for any further clarifications or amplifications. Each Service has provided Points of Contact (POC) as under to facilitate ease of doing business. POCs have been provided at every serial in TPCR concerning Naval projects owing to diversity of equipment and the spread of dealing directorates. AF Exchange (VB) 011- 23010231 Ext 7425.